Norm Brunet – It Don’t Get Better Than This – Album Review | The Ark of Music – The best music in the world…you never knew existed. Quebec born and Ottawa raised, Canadian singer-songwriter, Norm Brunet, started playing guitar at the tender age of nine, driving the dream way down deep—from day one. Inspired by the sounds of the Eagles, Poco, Loggins and Messina, The Birds, and so many more, over the years, Norm has created a critically acclaimed anthology of songs which has garnered airplay on blues and roots radio programs throughout the USA, Canada, Australia and Europe. That anthology includes 1990’s Me and My Guitar, 2008’s Life Goes On (and more), both of which charted several singles on the various country music charts in Canada. His latest album, It Don’t Get Better Than This, offers that same, genuine, sung-from-the-heart melodies with the added benefit of just a few more years of wisdom and grit under his belt. The album’s title track, It Don’t Get Better Than This, feels like Cash wrote the lyrics with an older & wiser version of Bad Company behind him. At 1:43 we hear Norm’s love of the Eagles take him over, check it out for yourself. Speaking of Eagles influence, I Will—a lovely song whose simplicity is matched only by its essential tenderness—is immediately reminiscent of 1974’s The Best Of My Love. Good Times And Tan Lines feels like Jimmy Buffet cut a track with Zac Brown Band. Out Of The Blue’s ever-so-slightly jazzy melody gives the album an unexpectedly refreshing shot of color and romance, and a lovely bit of acoustic flat-picking as well. Softly gruff. Confidently wounded. 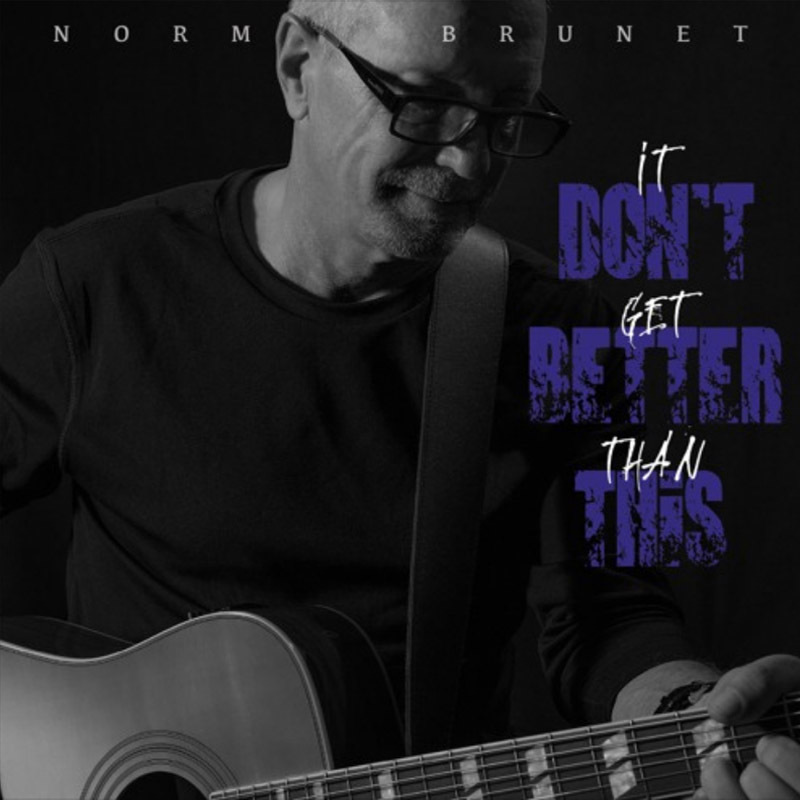 Norm Brunet’s latest studio album, It Don’t Get Better Than This, is an endearing and sincere piece of 70’s style country-Americana (or perhaps more accurately stated—Canadiana), which—by the way—absolutely gets better with each passing track. Never pretending to be anything other than what it is, the album’s simple and expertly composed melodies, relatable writing, and overall easy-going spirit make it a worthy adventure for fans of today’s—and yesterday’s—rootsy and radio-ready style of country music. BELOW: Listen to Norm Brunet’s album, It Don’t Get Better Than This, and connect with his website and social media platforms. 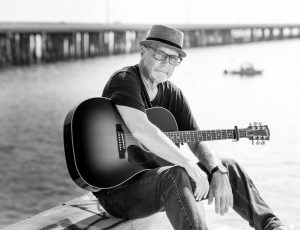 Please support Norm Brunet by visiting him online, and playing, downloading, and/or purchasing his music, or attending a live show! And, as always, thank you for supporting real music!